What Is SRS File In Outlook? Send and Receive Settings (SRS) file in Outlook provides the information for accessing messages from a service provider account and also information to manage the incoming and outgoing process of mails from that particular account.The default extension of this SRS file is.srs and is created by default at the time of an account creation in Outlook. Since multiple accounts can be opened in Outlook, therefor multiple SRS file can exist in Outlook. 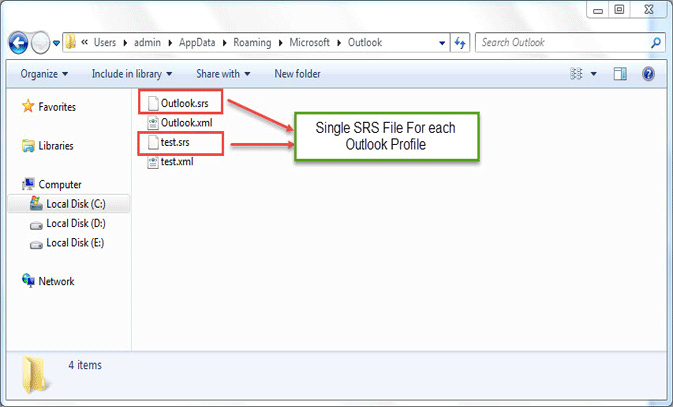 A SRS file is created automatically when a new account or profile is created in Outlook. It cannot be created manually and there exists only a single SRS file for a single profile/account. It cannot be exported to a different version of Outlook or to Outlook on a different machine. 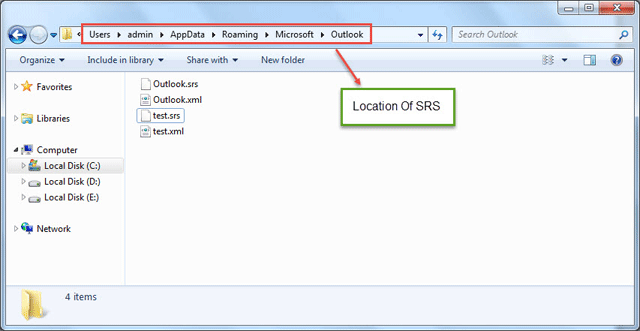 The default location of SRS file differs on the version of Windows OS on which Outlook is being used by the user. It cannot be copied or sent (via email or other source) to other computer or Outlook account. It gets registered on the computer on which it was created automatically. If the SRS file is deleted, the account related to the file cannot be accessed in Outlook until you do not restart your Outlook. Each SRS file has the same name as that of the profile for which it is created. Since, each profile name is different and unique the name of SRS file will also be unique. While making changes in the settings of SRS files, great care should be taken as the changes may end up in corrupting the SRS file. A corrupted SRS file cannot work in Outlook and hence the Send and Receive process for an Outlook profile will cease in case it gets corrupted. Therefore, great care should be taken while making any changes to the SRS file.